How to choose a kitchen sink you will love! ‘Everything but the kitchen sink’, is a saying that goes way back. But it is one of the most important items in your kitchen with washing dishes, food preparation and wiping benches. There are so many styles and options available, it is important to make a good decision as they can be expensive to refit. Questions, Questions, Questions! 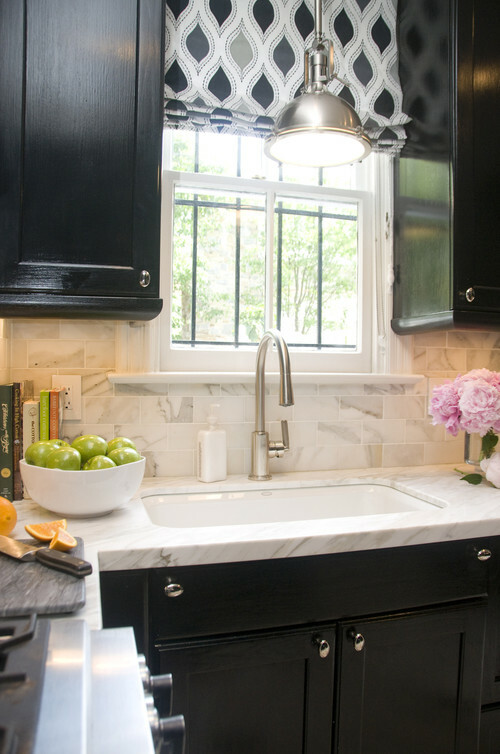 Should you go with a square sink or a round sink? Do you need a double sink if you have a large family? Do sinks come with a draining board? If you are in a small space should you only think about a single sink? Are square sinks harder to clean in the corners? What material is going to last the best? How will you decide on a mounted sink or an undermount sinks and what’s the difference? Who would have thought there could be so many decisions to make over a sink that cleans dishes! Lucky for you we have put together an extensive checklist on how to choose your kitchen sink. Read on my friend. 1. What is the best shape for a kitchen sink? There are round, square and curved kitchen sinks. Some have double sinks with a drainer, others are just a double sink with a drainer accessory on top. A sink with round or curved edges can look amazing and are easy to keep clean. They don’t get anything stuck in the corners like a square sink would. The major disadvantage of round sinks come in the functionality. Large pots and pans and difficult to wash and sometime don’t fit at all. A square, curved or rectangle sink definitely get a tick for functionality. No capacity issues here! Another bonus is that they are generally cheaper as well, and another bonus is that it is easier to cut a square in a benchtop than a circle. 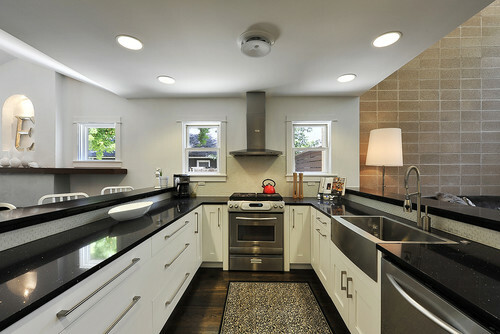 This is a beautiful kitchen below with 2 round bowl sinks. If you do love a round sink you could always add a square one into a butler’s pantry for those larger pots and pans. 2. What type of sink? An over-mount kitchen sink is placed over the bench top and is generally cheaper and easier to install than an under-mount sink. This is a timeless design and has been around for a long time. A negative to the over-mount is that mould and scraps can get caught in the edge and it is harder to clean. You can’t wipe your benches and move crumbs into the sink without negotiating the lip of the sink, hence the ‘scrap trap’. In my opinion they are a cheaper alternative, but if you’re looking for modern, sleek and stylish, head to the under-mount range. Below you can see the lip of the sink which also reduces bench space and in a small space this can be a big disadvantage. An under-mount kitchen sink is more popular in new kitchens and is placed underneath the kitchen cabinet with the edges held on by strong adhesive. Cleaning your benches is extremely easy with a under-mount as you can sweep crumbs directly into the sink. They are more expensive to install, but the look out-weighs the cost 10-1 in my opinion. The only negative is if your installation isn’t spot on they can leak and mould can form under the silicon. Keep them clean to avoid any build up and you’ll have a modern and stylish kitchen look. 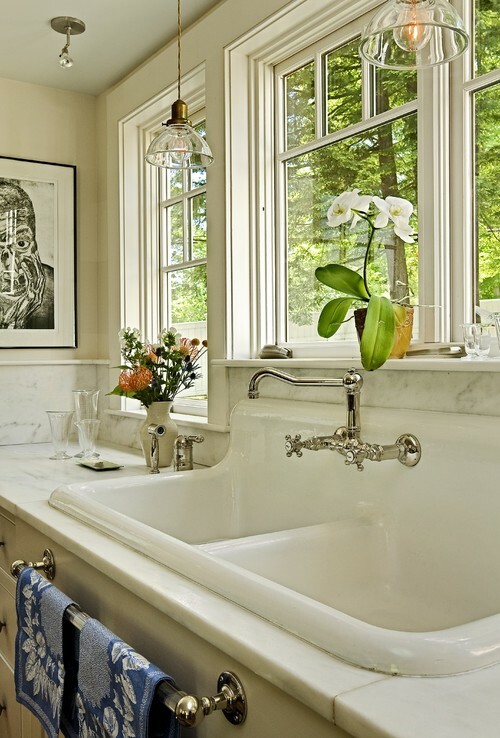 A flush-mount kitchen sink allows the rim of the sink to be flush with the bench top. They are also great for that seamless look and cleaning is easy. 3. What material to use Pro’s and Cons! Sinks come in lots of different materials. 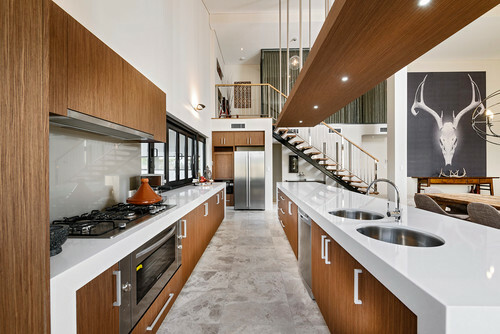 In Australia, the most popular choice by far is stainless steel. There are many other different materials that can be used including copper, glass and marble just to name a few. It pays to do your research on these types of sinks and check with your plumber. There is no right or wrong answer to this question. It will depend on if you have trained your family to put their dishes in the dishwasher or do they go on the sink or counter. It also depends if you hand wash a lot of dishes or just a few odd items. Do you air dry dishes or just dry them with a tea towel? Personally, you can’t beat a double sink or even a 60/40 sink. However, some people prefer to have one large single sink that allows you to put large pots and pans in it. It all comes down to lifestyle and what your personal choice is. The advantages of a double sink are that you have somewhere to put dirty dishes, you can have more than one person helping with the washing up however they can be smaller to fit in large plans and they do take up a lot of bench space in smaller kitchens. The advantages of a single sink are they take up less room they look sleek and modern, and they are less expensive. However there is no room to put dirty dishes and if you do a lot of washing up it can be annoying to wash and rinse at the same time. Now you just thought you were buying a kitchen sink right? Well nowadays they come with all sorts of accessories, including cutting boards that sit on top of the sink and drainer trays which are great for space saving. You can even get colanders which fit in your sink and are great for straining and washing your vegetables and pasta. There are also sink grids which sit on the bottom of the sink allowing water to drain below and provides a great area for drying glassware, utensils and plates. They also have these available in a floating range, which allows you to rinse off pots and other crockery if you only have a single sink. So do your research especially if you are lacking space. If you only have room for a single sink then choose one that has options for accessories and workstations. Your budget will help you decide on what type of kitchen sink you purchase as they vary greatly in price. If you are buying online ensure that the kitchen sinks are Australian Certified. Make sure you check with your builder that you have selected the right sink as other factors such as bench tops and cupboards will need to be considered. The traditional stainless steel is still a great option but for those that are wanting a unique style then there are many other options. You also need to consider your sink accessories, including draining boards, cutting boards and grates that you can purchase with your kitchen sink. Optional extras can really help in small spaces, especially a chopping board over the sink, so choose wisely and you will benefit greatly. Have fun.